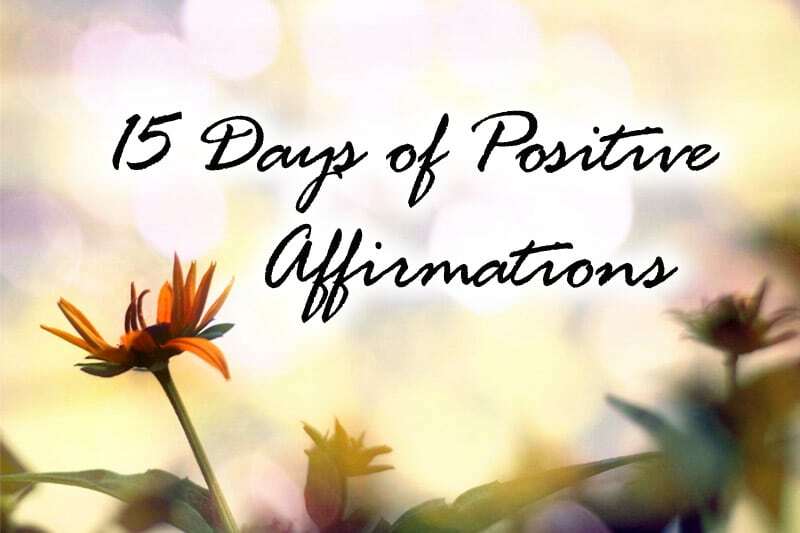 This is Day 9 of the 15-Day Affirmation Challenge where hundreds of participants around the world gather to practice positive affirmations for 15 days in July 2014. The challenge is now over, but you can do the tasks in your own time. Visit the overview page for all Affirmation Challenge tasks and posts. Affirmation Challenge announcement and signup details: 15-Day Affirmation Challenge | Nearly 460 Participants! Even if you are just reading this now, you are still more than welcome to sign up and join us in today’s task, while working through week one’s tasks in parallel. Remember to share your results too — there are still participants working on Day 1’s task and sharing their results even today! What kind of relationships do you have today? 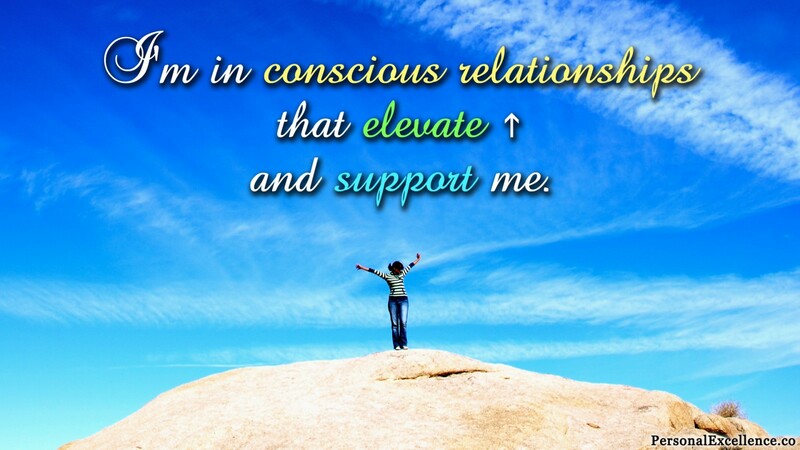 Would you say your relationships are conscious and elevating you? Or would you say that your relationships hold you back and prevent you from being the best you can be? Are you able to openly share AND discuss your goals, dreams, life purpose, and values with the people around you? Or do you feel that you have to dial yourself down and talk about mundane topics just to relate to each other? Do you feel that the people around you support you to becoming the best you can be? Or do you feel that they hold you back from being your real self? If your answer for both points is the former, then congratulations — your relationships are supporting you in your life’s journey! If not, then suffice it to say, your relationships are probably holding you back. I often talk about how important it is to surround us with the right people. In my article, You are the Average of the 5 People You Spend the Most Time With, I share the now-famous Jim-Rohn saying, “You are the average of the five people you spend the most time with.” What the saying means is that you are, in a big way, the product of your relationships. Say you often hang out with negative, critical people. In fact, the five people you interact with the most — your colleagues Jane and Jenny, your high-school friends Jack and Jill, and your dad — are often gossiping about other people, complaining about their problems, or sometimes even… putting down your ideas. How would you feel? Not only will you feel irritated, you will also gradually “absorb” their negativity and become negative yourself. You may not notice it, but slowly you’ll become jaded, skeptical, resistant to change, critical about others, and disinterested about your future. You essentially become a reflection of what you didn’t like about them in the first place. Now, even if you are in such relationships today, it doesn’t mean that you’ll be stuck in such relationships forever. Take it from someone who used to be surrounded by largely negative people, and is now in conscious and relationships that elevate her. We may not be able to change how people think, but we can choose the people whom we foster relationships with, and subsequently create conscious, meaningful connections. Today, your task is to identify the kind of relationships you want, and then to create action steps to make them happen! Identify your ideal relationship. (Remember, here we are using “relationship” as a broad term to refer to any connection, as opposed to specifically romantic relationships.) What is the ideal relationship (be it friendship, family relationship, professional relationship, or romantic relationship) to you? Someone whom I can discuss said life goals and dreams with, and even give me ideas on how they can be better! Identify places where you can find such people. (With the exception of our family which we can’t change,) Where can you find the kind of people who matche what you mentioned in Step #1? For example, say you have an interest in healthy eating and you want to be a chef. Places where you can find people to support you in your dreams can be say, healthy living meetup groups (via Meetup.com), healthy cooking courses (where you can find people who desire to learn about healthier cooking methods), chef culinary conferences, and even, cooking competitions! Get more ideas on meeting new people: Cooped Up Indoors? Get a Life with These 7 Tips. Identify action steps! Based what you’ve written in Step #2, what do you need to do to start meeting such people? Identify specific action steps, and include deadlines where applicable!